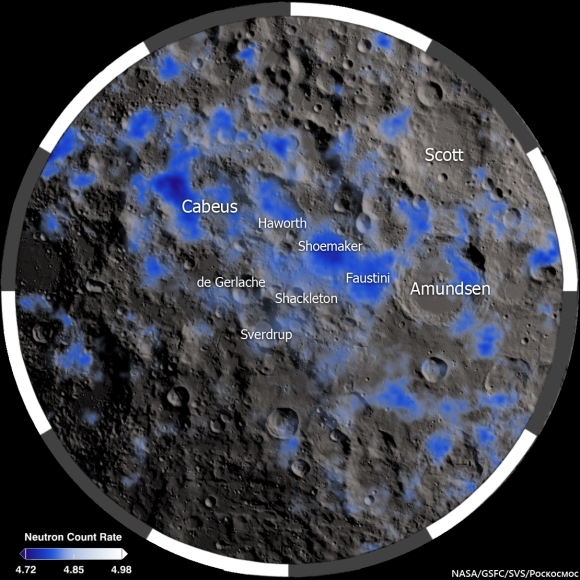 04/15/2019 – Ephemeris – Why land at the Moon’s south pole? Ephemeris for Tax Deadline Day Monday, April 15th. Today the Sun will be up for 13 hours and 28 minutes, setting at 8:27, and it will rise tomorrow at 6:57. The Moon, 3 days past first quarter, will set at 5:53 tomorrow morning. The hottest piece of real estate on the Moon is the south pole. Unlike the Earth’s south pole and the rest of the Moon, except the north pole, there are mountain tops that are always in sunlight. The Moon has a very small axial tilt, only a degree an a half, compared to the Earth’s 23 and a half degrees which plunges the earth’s poles into a 6 month’s night. Another benefit of the small tilt is that the floors of craters at of near the poles never see sunlight, so are hundreds of degrees below zero and can be cold traps for water vapor from passing or colliding comets. Yes, thar’s water in them thar craters. It’s more valuable than gold, providing oxygen to breathe and hydrogen and oxygen for rocket fuel. The south pole of the Moon where the presence of water ice is detected by the absorption of neutrons by the hydrogen atoms in the ice. Credit NASA/GSFC/SVS/Roscosmos.